Database management has long required a database administrator (DBA), which is a very time-consuming and arduous role, especially with so many databases now. The SentryOne database is designed to simplify server management by automating database administration and providing analytics for those databases on a dashboard. 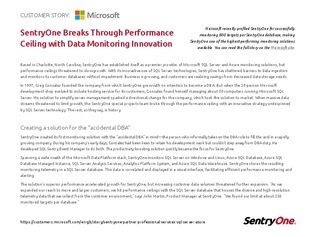 Read more about SentryOne’s story and how the platform could simplify your organization’s database administration.